Recent revelations of North Korean nuclear weapons advances have enfuriated President Trump into threatening the 'rogue' state with 'fire and fury'. Kim Jong Un responded by threatening to attack the US territory of Guam with his missiles. 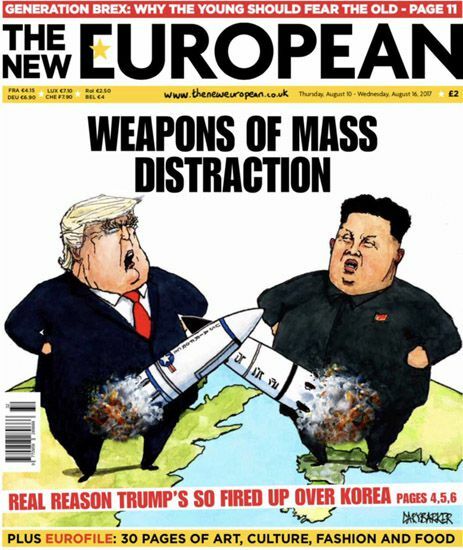 This front page cartoon illustration was mentioned in a Newsweek a round-up of the reaction to this story around the World.